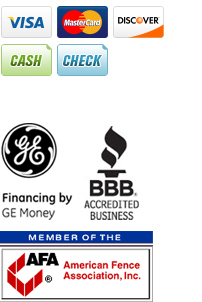 Quality fencing solutions in the Detroit, Mich., area for nearly 80 years! Great Lakes Fence Company delivers dependable service and complete customer satisfaction for residential, commercial and industrial properties. Great Lakes Fence Company has been a locally, family owned and operated business for nearly 80 years in the Detroit, Mich., area. Our goals over the years have always been to offer quality fencing solutions, dependable service and complete customer satisfaction. Great Lakes Fence Company has been installing and serving both commercial and residential fence needs since 1937. 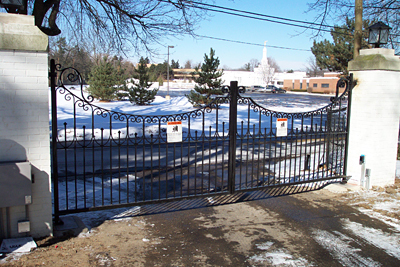 We specialize in custom fence solutions as well as chain link, cedar, wrought iron, steel, P.V.C. and aluminum picket, guardrail, baseball backstops, dumpster enclosures, single and double swing gates, scissor gates, cantilever gates and overhead track gates. All gates can be equipped with electric operators, card readers, various controls, cameras, and many other security and safety devices.